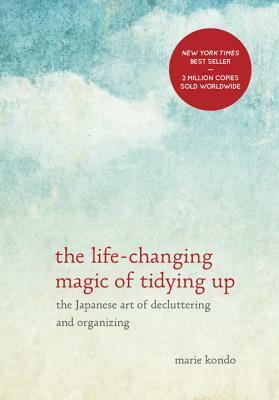 I picked up a copy of The Life-Changing Magic of Tidying Up as an impulse buy while waiting in line at my local Chapters. This was over 6 months ago! Since then it's been sitting in my growing TBR pile just waiting to be read. I then found out it was The Morning Show Book Club's January pick and it quickly jumped to the top of the heap. About ten pages in, I was instantly hooked and completely regretted not reading it sooner. Marie Kondō retells stories of her childhood that have lead her down the path of being a tidiness expert. She also provides details of encounters with her clients. Each chapter provides detailed ways to keep your home clean and reduce the amount of clutter around you. As I flipped through the pages, there were many eye opening moments where I noted down small steps I could take to maintain order in our house. I found this book to be so inspiring and invigorating. The day after I completed it, I attacked my clothes closet and drawers. I laid out all my clothing and asked myself, "Does this spark joy?". 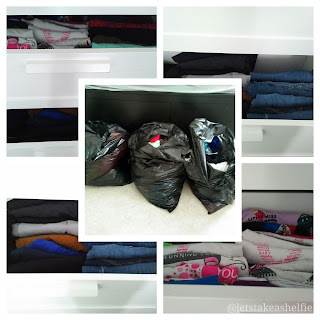 A few items were harder to part with than others, but the end result, for me, were three bags full of clothes I no longer needed, a closet that was organized and drawers that proudly displayed their contents. My closet adventure is just the start. I'm going to be doing the same exercise with my kids' clothes, toys and our linen closet next weekend. The kitchen and bathroom tidiness tips will also start making their way throughout our home. My family has noticed the definite change in my mindset and appear to be behind me. Only time will tell whether these new methods will stick. This is a book that I would recommend to those who are looking for a place to start. It may be hard to believe that reading a simple book will jump start your tidiness movement, but I encourage you to give it a try. Happy tidying! "As for you, pour your time and passion into what brings you the most joy, your mission in life"